Jessica Speart, author of Winged Obsession: The Pursuit of the World's Most Notorious Butterfly Smuggler, discusses illegal trade of rare butterflies. She tells “The WildLife” host Laurel Neme about the real-life characters in her book: Yoshi Kojima, the world’s most wanted butterfly smuggler, and the rookie US Fish and Wildlife agent, Ed Newcomer, who finally brings him down. 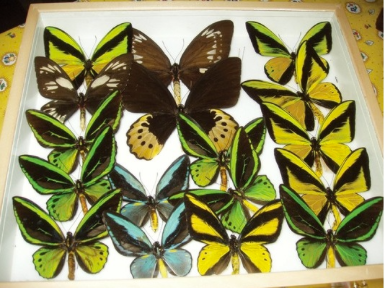 The trade in rare butterfly species is a lucrative business. 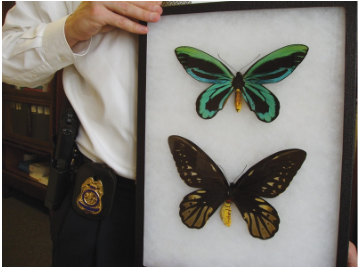 While there is much trade that is legal, the illegal butterfly trade could be worth up to $200 million each year. “Butterfly collectors with the financial means will do whatever necessary to obtain the specimens they want,” Speart says. For some, it’s like stamp collecting. For others, it’s the equivalent of collecting a Renoir or Van Gogh. While habitat loss is the most significant threat to butterflies, poaching adds to the stress on these delicate insects – so much so that when criminals target the rare species, extinction becomes a real possibility. Butterfly poachers often pursue the most endangered species, and many prowl national parks where they collect butterfly eggs to raise in a controlled environment. They do this so that they can end up with perfect specimens—and a higher price. Whenever the wings are damaged, the value of the butterfly drops dramatically. As Speart describes in this interview, “The way you get a perfect specimen is to kill them shortly after they’re born.” There’s no other way to make sure its wings remain unused and in perfect condition.